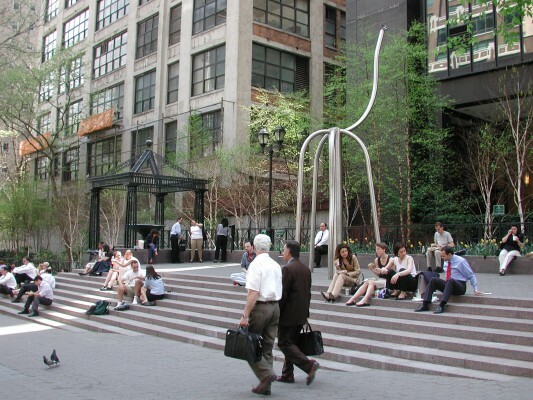 The 1.5 acre municipal park known as Dag Hammarskjold Plaza occupies the entire southside of the block between First and Second Avenues on East 47th Street in the Manhattan neighborhood of Turtle Bay. Take the photo tour below! The park is named for Dag Agne Carl Hammarskjold. 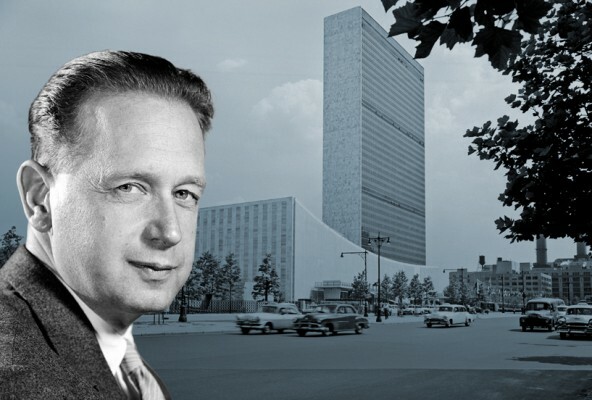 Looking east, the promenade leading to the UN, graced by the metal lattice-work of the entrance dome and six fountains, distinguish the park with a landscape design befitting its namesake, Dag Agne Carl Hammarskjold. These architectural features, as well as the park’s garden, were designed by NYC park architect George Vellonakis as part of as a community visioning process that began in the 1980s and culminated with the park’s reconstruction in the late 1990s. The entrance dome at East 47th Street near Second Avenue. Steps lead to a raised platform where public sculpture is frequently exhibited. Notice the bronze turtle in the fountain, a symbolic tribute to Turtle Bay. 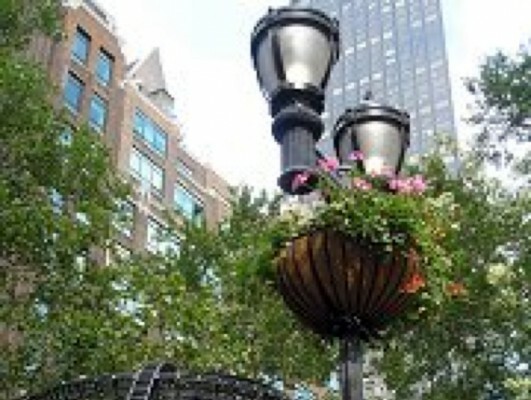 The lighting fixtures are based on the historic New York City lamp. Toward the center of the plaza, the columns form a crescent, known as the Colonnade. This area is frequently used for performances and community events. 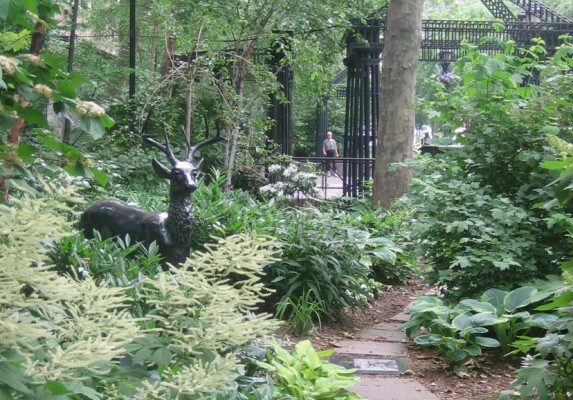 Behind the low iron fence lies a naturalistic garden, entered from a gate behind the fountain nearest First Avenue and the park café. A winding path offers a serene walk in the woods amid the skyscrapers of midtown. 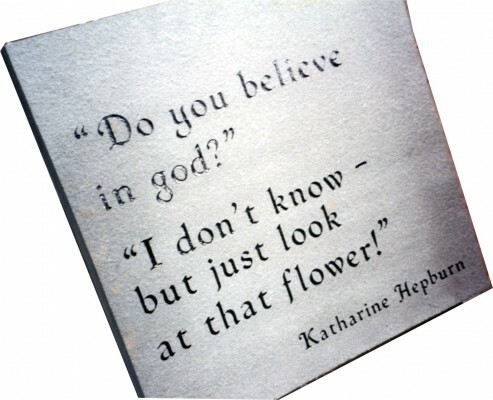 Notice the engraved stones with quotes and images of Oscar-winning films of the late actress, Katharine Hepburn. Our Garden Committee had the stones engraved after the community dedicated the garden to the Turtle Bay resident in 1997. The garden bench was a gift from Hepburn’s Fenwick estate. 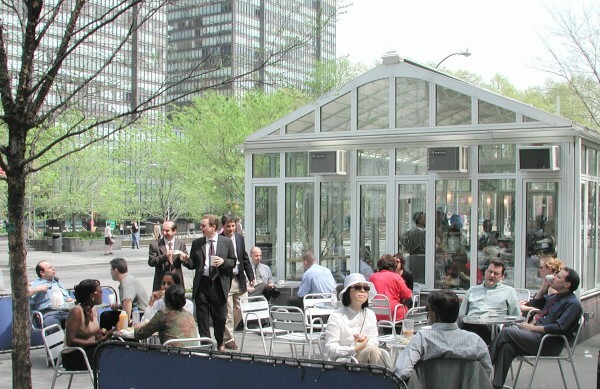 The café structure is an actual greenhouse, selected by the architect for a gardenesque effect. Hospitality Holdings currently operates the café as a concession. 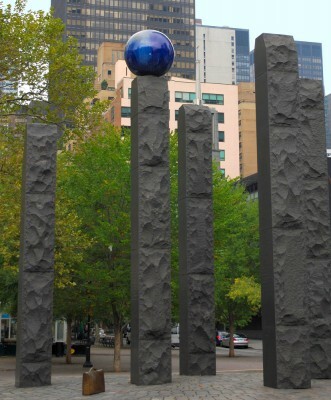 A monument to Raoul Wallenberg entitled “Hope” can be seen on the traffic triangle of First Avenue (UN Plaza). 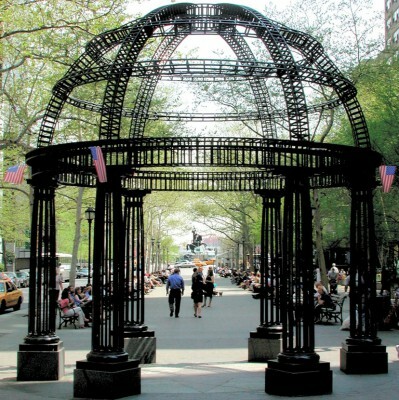 The park has long served as a site for staging public demonstrations, and the plaza east of the café (near First Avenue), provides freedom of expression for groups from all over the world. St. George Slaying the Dragon, by sculptor Zurab Tsereteli. 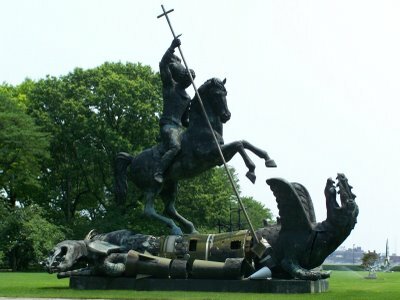 Entitled “Good Defeats Evil,” the dragon in the sculpture is made of fragments of U.S. and Soviet ballistic missiles.